As part of G J Stoner & Son, based in Steyning, we have been established since the early 80s. We are national winners, and seven times regional winners for Marshalls Paving Plc, the UK’s largest paving Manufacturer. We are still to this day, members of the APL (Association of Professional Landscapers), HTA (Horticultural Trade Association), Trading standards and Checkatrade. 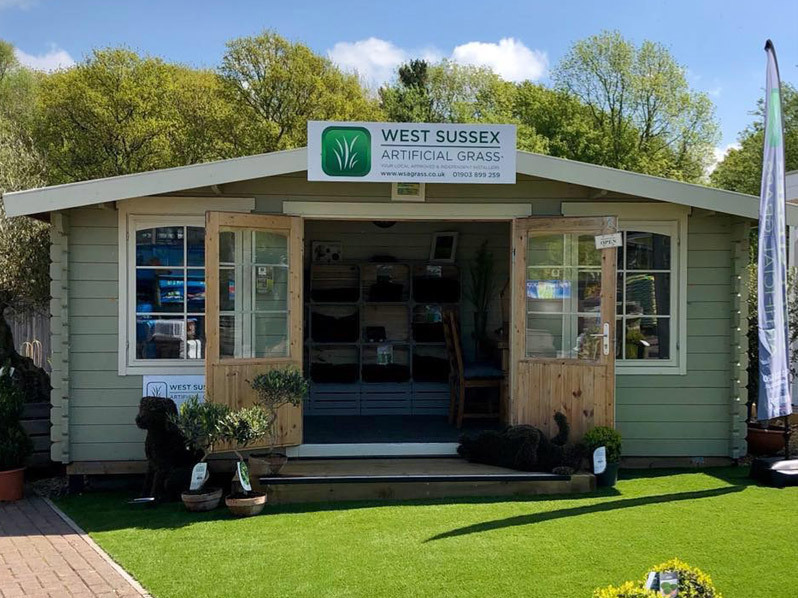 Due to the rising demand for our artificial grass, we became 100% full time, dedicated grass installers and have successfully laid 1000s of metres across Sussex & Surrey. We take pride in our work and despite doing this every day the instant improvement that our artificial lawns gives still has us impressed. Get in touch, let us help you create your outdoor living space. Whilst we no longer carry out landscaping works, our vast depth of knowledge and experience have built a reputation for providing a complete and reliable service best suited to our Customers’ requirements. 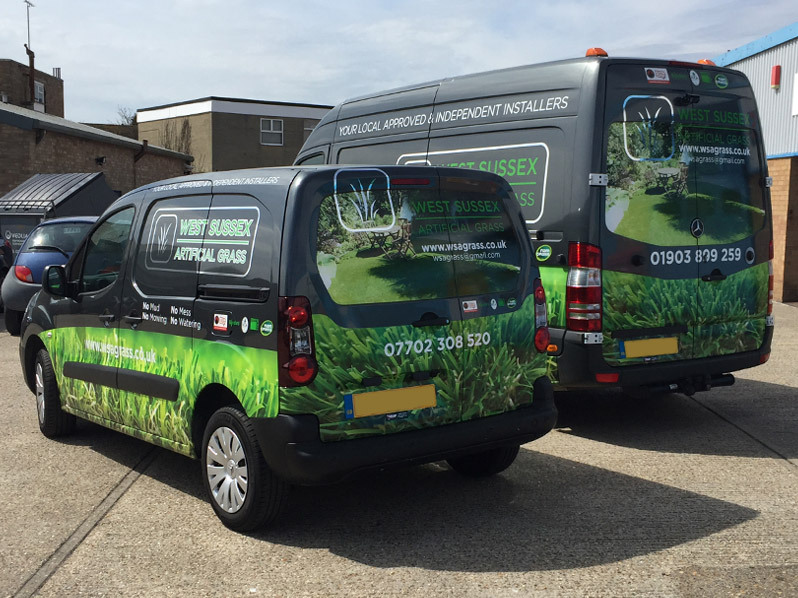 You may see our vans out and about all over Sussex and the surrounding areas. We carry samples of our products when we come to see you. Visit our Showroom at Rushfields Plant Centre, Henfield Road, Poynings, BN45 7AY. Where you can obtain advise and view our full range of grasses while enjoying refreshments at the cafe or taking a look at the award winning Farm shop.